LeanIX helps you to discover synergies. You can manage changes in your IT landscape transparently and efficiently supporting you to achieve best-in-class digital transformation. 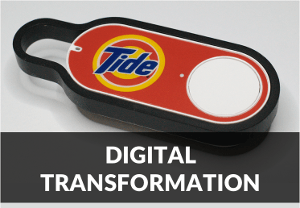 Digital transformation is one of the most significant challenges for our business models. Within organizations the IT is becoming increasingly important and will have to take charge of the process. Digital transformation will only succeed if supported by a progressive IT strategy. Enterprise Architecture Management (EAM) supports you to make the right decisions when it comes to the digitization of your organization. collaborate across departments and divisions sharing information organization-wide.